Students use iPads at Thomas Metcalf School. 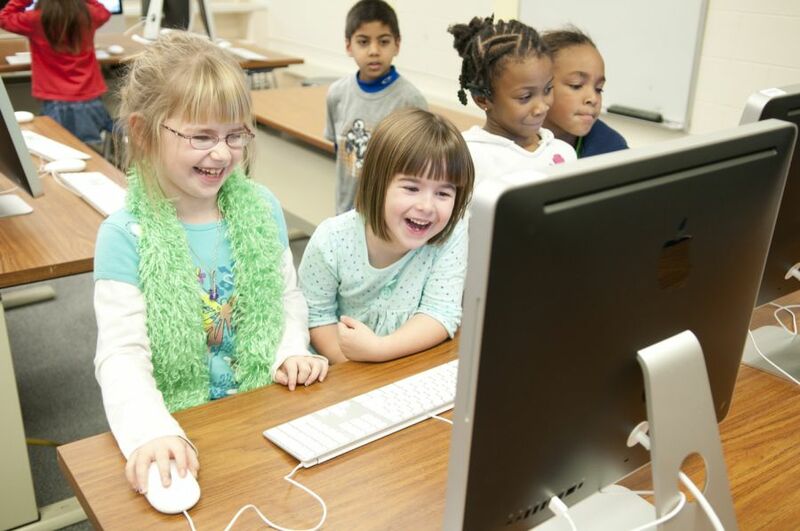 Laptops, smart boards, iPads, and other technologies have become commonplace in Thomas Metcalf School classrooms. This fall the lab school took another step toward using technology for collaboration, multimedia, communication, and class management by becoming a Google school. Matejka began exploring technology options for Metcalf with school administrators and faculty as 150 devices used by students and faculty were scheduled to be decommissioned due to age. Technologies ranging from Macs and iPads to Windows PCs were given consideration. 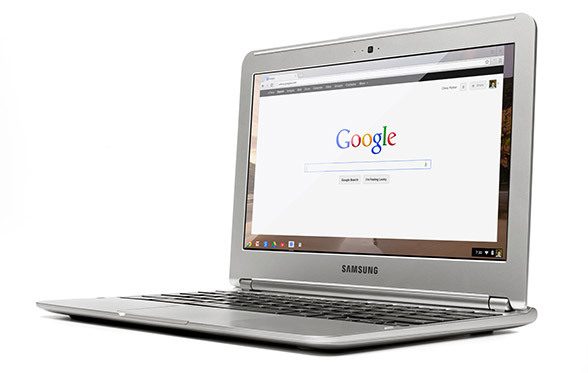 However, Chrome, an Internet browser created by Google, was identified as the most viable option as it was cost friendly and allows for customization of applications, storage of documents, and seamless transition between devices by assigning accounts to students in a cloud-based environment. Aside from the benefit of being able to access an identical environment containing learning tools, projects, and all apps used in classrooms on any device, whether they are at Metcalf or not, Matejka will also be able to manage the Chrome environment with greater ease than he could had Metcalf elected to pursue use of MacBooks or Windows PCs. Adopting the Chrome environment also means that every student from the fourth to eighth grades will be paired with a device, making Metcalf a true 1:1 school. More than 300 laptops previously used at U-High will be passed to Metcalf. 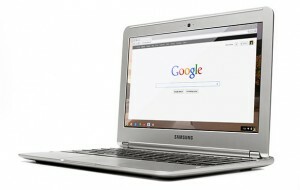 Laptops will have only the Chrome browser installed. When these laptops are decommissioned, they will be replaced with Google Chromebooks, inexpensive, fast-booting machines specially designed for the Chrome environment. Matejka will be able to install apps from Google’s robust app marketplace, many of which are free, ensuring that individual classes are able to access tools for word processing, mail, math, science, and even photo and video editing. Students will have access to the device they are paired with all day, so long as it fits into current lessons, though only seventh- and eighth-graders will be allowed to take their devices home. Students are not required to purchase the device, but Metcalf will be assessing a $40 service fee to cover the costs of purchasing hardware, learning apps, and infrastructure upgrades necessary to efficiently run the new learning environment. To prepare for the change, technical support staff have increased the wireless capabilities in classrooms that will serve students well into the future. Though the Chrome environment does not require Internet access to function, it does need a connection to update apps and save files on the cloud. While schoolwide changes can be daunting, Coffman and the Metcalf faculty are optimistic about the opportunities a Chrome environment will bring. Wes and others did a wonderful job preparing parents for this change and enabling students to prosper.